For those guests who wish to use one of our cars during their stay we aim to be very adaptable in meeting your wishes. You can take a car by the day, or at more economical rates for your whole stay here, in which case we can arrange for collection and return transfers from your point of arrival. We can provide daily routes that explore the wonderful countryside and coastal surroundings within one day’s touring reach from La Ferme de l’Eglise. The cars are well maintained and fully insured. We can even provide traditional wicker picnic hampers packed with the best French produce for days out. 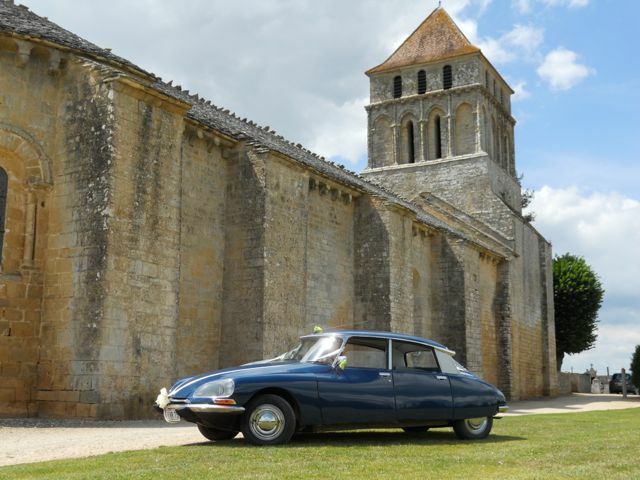 This car is perhaps the most desirable DS configuration: this DS 23ie embodies the comfort and elegance of this Gallic design icon with its magic carpet ride. It always turns heads and raises approving smiles wherever it goes. 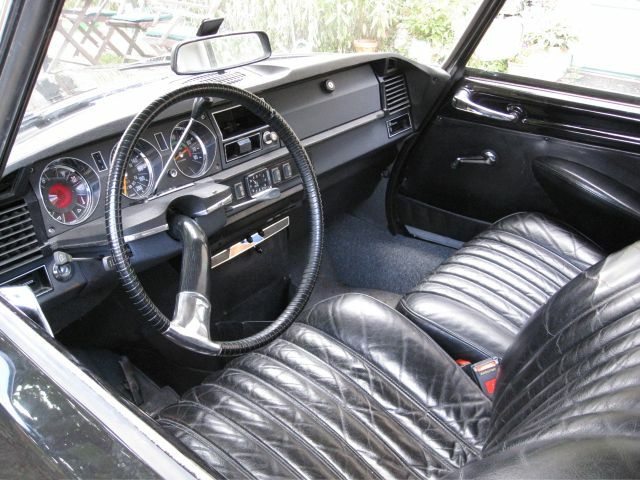 The patinated leather sumptuous black interior beautifully complements the stunning black paintwork … a Presidential DS! 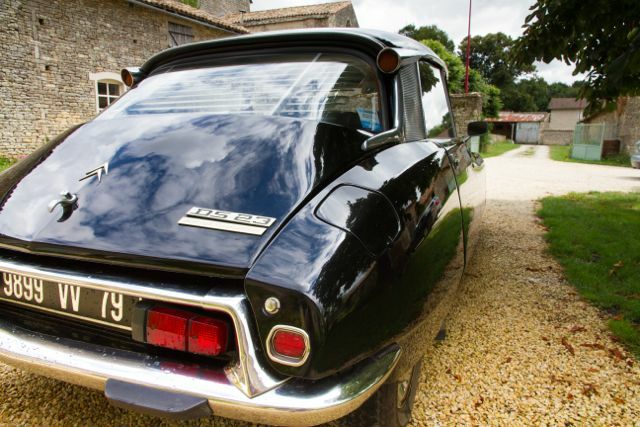 This Citroën DS23ie is a sensational ride with the added luxury of a modern CD audio system. This car was run in the Rallye International de Charente as part of the 2009 Circuit des Remparts annual historic festival. 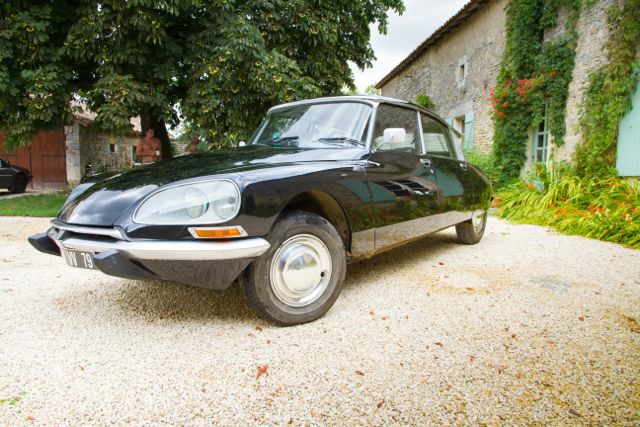 The DS23ie was declared a fine example by the organisers and applauded by the spectators – there are times when only a French classic Citroën will do! 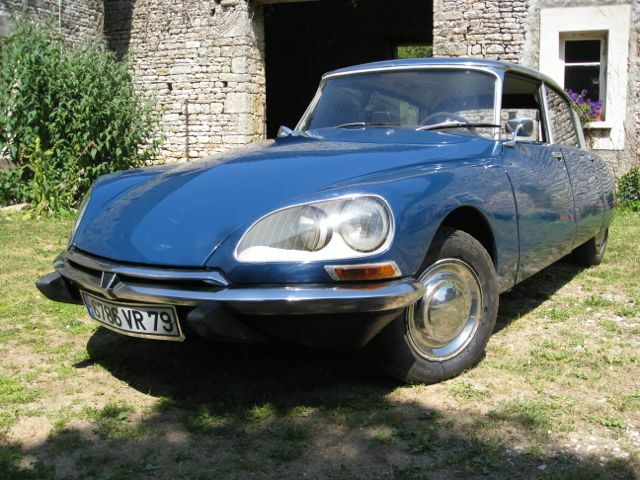 The DSuper 5 was the last of the ID range, built as a simpler, less technical variant of the DS as a riposte for those sceptics who had objected to the perceived complication and expense of the DS. 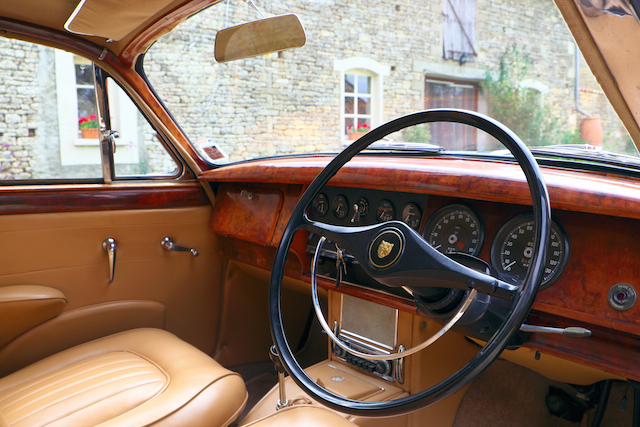 This car has been the subject of extensive restoration since its purchase in 2008 and now finished with a brand new interior and blue paintwork that give this classic car the looks to match the legendary comfort of the ride. 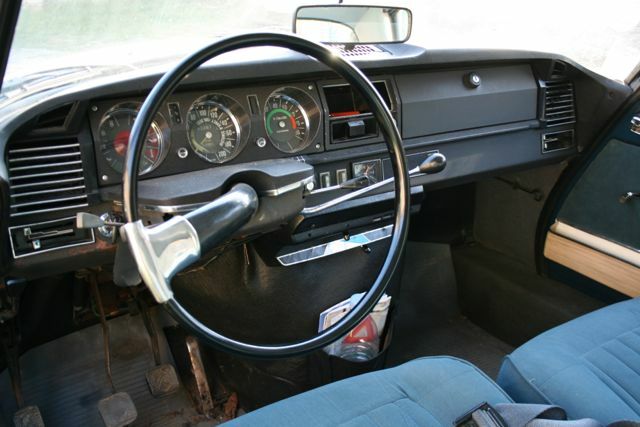 Always a head-turner, this Citroën DSuper 5 could be the preference for drivers more at home with a traditional clutch, gearchange lever and brake pedal arrangement. 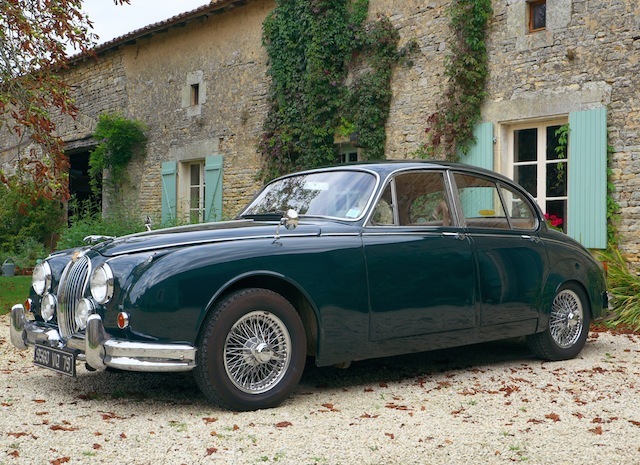 This Jaguar MK2 is was first registered in September 1961 and has the 3.4 litre engine. 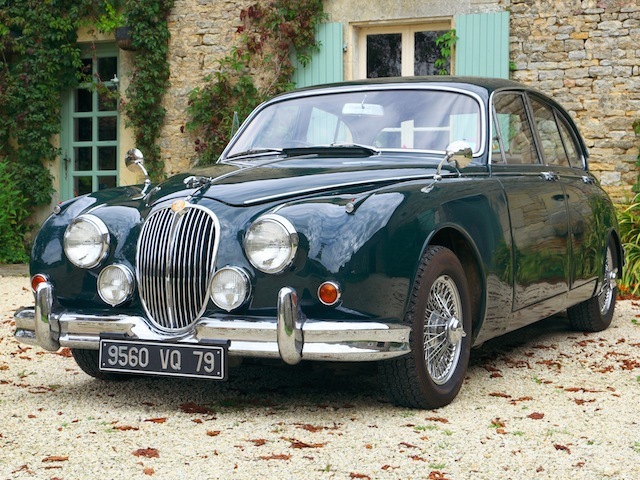 The MK2 was a development from the MK1, first introduced in 1955 (the same year as the Citroën DS) and using the same XK “straight six” engine. Under the slogan “Grace…..space……and pace”, Jaguar epitomised the success of British motor manufacturing in the 1950s and 1960s. The MK2 was the fastest production car of its time and a popular choice with gangsters (before becoming the choice of the Police Service) and is widely held to be one of the Great Cars, a bench-mark by which other classics are judged.